Know the facts about peyote/mescaline and connect with help and support to keep your child safe. What are some slang terms? Plants may be blue, green, yellow or a combination of reds and greens. The “crown” of the peyote cactus consists of disc-shaped buttons that are cut from the roots and dried. What do young people hear about it? Hallucinogens like peyote/mescaline create altered states of perception and feeling. 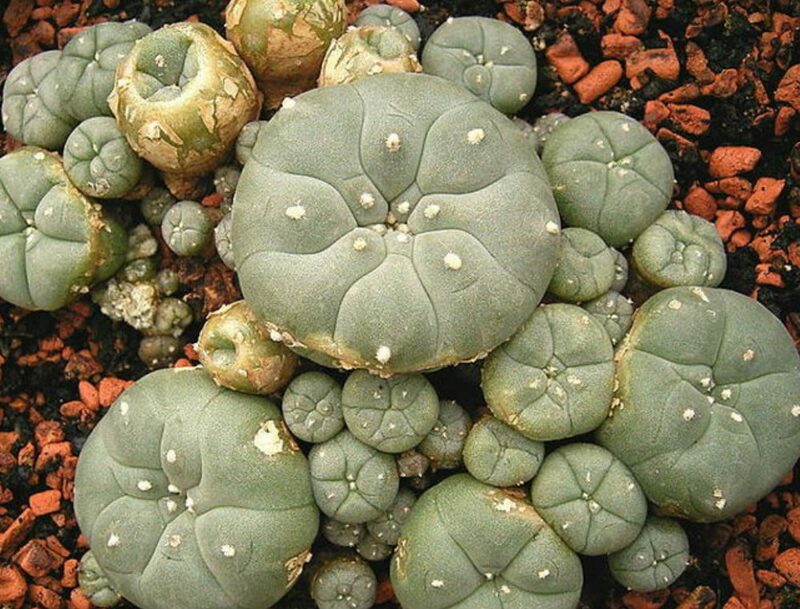 Once ingested, peyote can cause feelings of nausea before the desired mental effects appear. Other effects can include increased body temperature, heart rate and blood pressure; loss of appetite, sleeplessness, numbness, weakness and tremors. Effects can be different during each use due to varying potency, the amount ingested, and a person’s expectations, mood and surroundings. 1NIDA. “Hallucinogens and Dissociative Drugs.” National Institute on Drug Abuse, 1 Feb. 2015, https://www.drugabuse.gov/publications/research-reports/hallucinogens-dissociative-drugs. Accessed 19 Dec. 2018. 2“Peyote and Mescaline.” DEA, https://www.dea.gov/factsheets/peyote-and-mescaline. 3“Get Smart About Drugs.” Find Help | Get Smart About Drugs, https://www.getsmartaboutdrugs.gov/drugs/peyote-mescaline. NIDA. “Hallucinogens.” National Institute on Drug Abuse, 11 Jan. 2016, https://www.drugabuse.gov/publications/drugfacts/hallucinogens. Accessed 19 Dec. 2018. A few simple tips and guidelines can go a long way toward spotting issues with drug use earlier rather than later. Do you think your child may be using drugs? If so, have you noticed any of these changes or warning signs? Is your child using drugs? Use these tips to prepare for the conversation ahead, and lay the foundation for more positive outcomes. Parent support specialists are available to listen, answer questions and help you create a plan to address your child's substance use.